Noe Valley: Since the sale isn't final just yet and restaurant folk are a superstitious lot, the Lupa folks are staying mum about any possible plans for Kookez Cafe next door until escrow closes. Someone has, however, covered up the vacant storefront at 24th/Castro, complete with the promise of an imminent return. 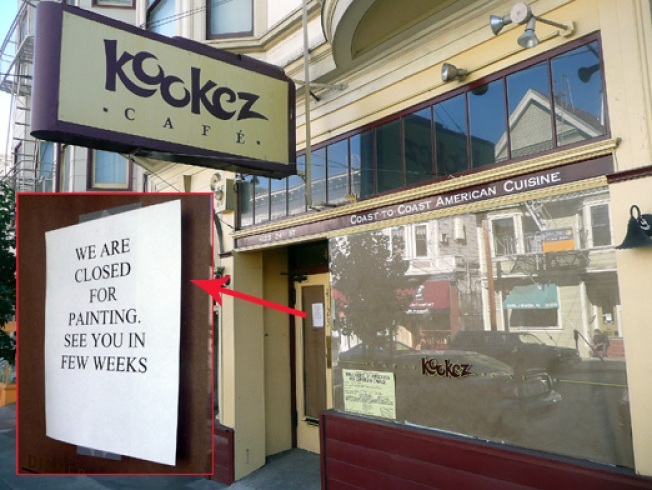 The sign says painting is merely at work, but our question, especially to the Noe Valley denizens, is a simple one: what genre of restaurant would you like to see in that location?